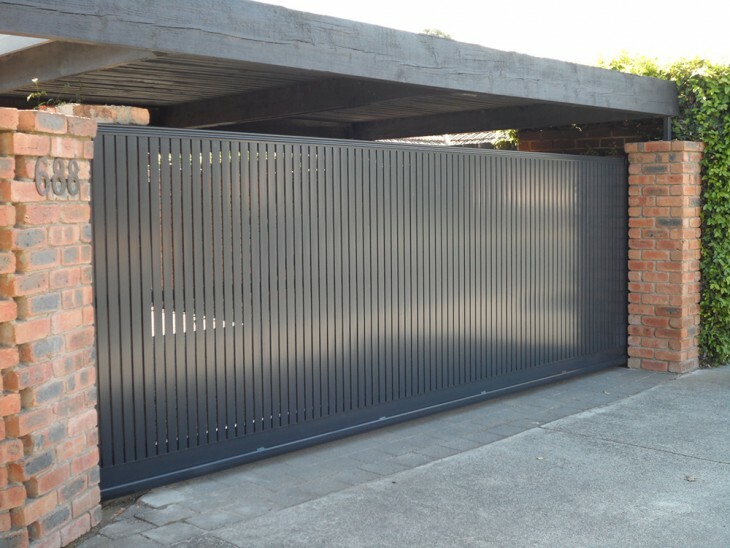 Sidcon manufacture and install a diverse range of automatic cantilever sliding gates that are an excellent solution where space is limited or uneven ground in commercial and residential properties.You can choose an existing profile, or we can custom build a design you like, the choices are endless. We offer a full design and consultation service to assess your requirements and visit the site to develop solutions to any potential problems to ensure your gates function for years to come. 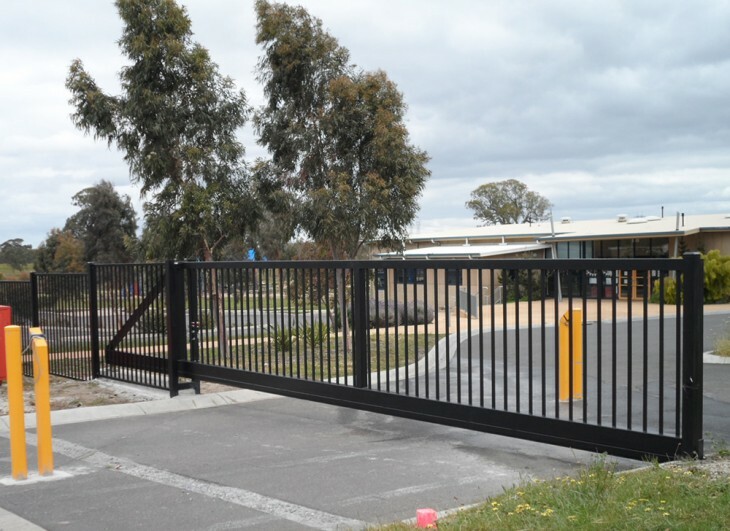 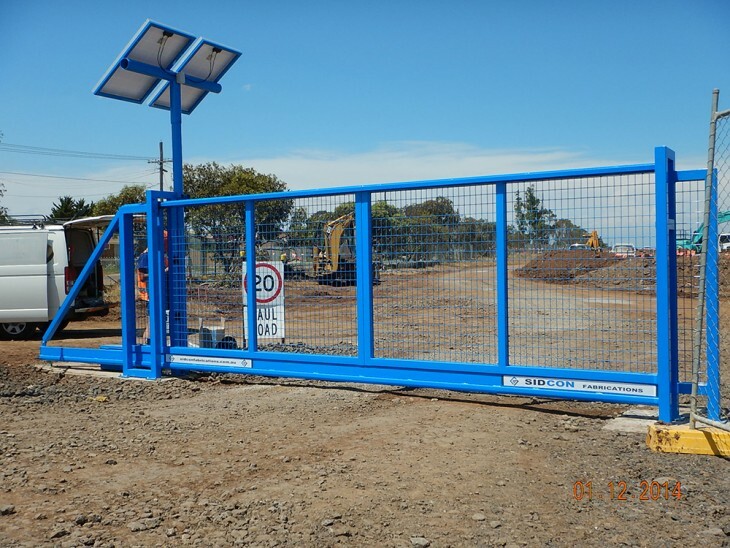 There are a number of benefits in choosing a cantilever sliding gate system over the traditional track style, with the obvious one being the system doesn't require a track. The trade off is the requirement for greater runoff area as a cantilever requires approximately 30% greater runoff room. 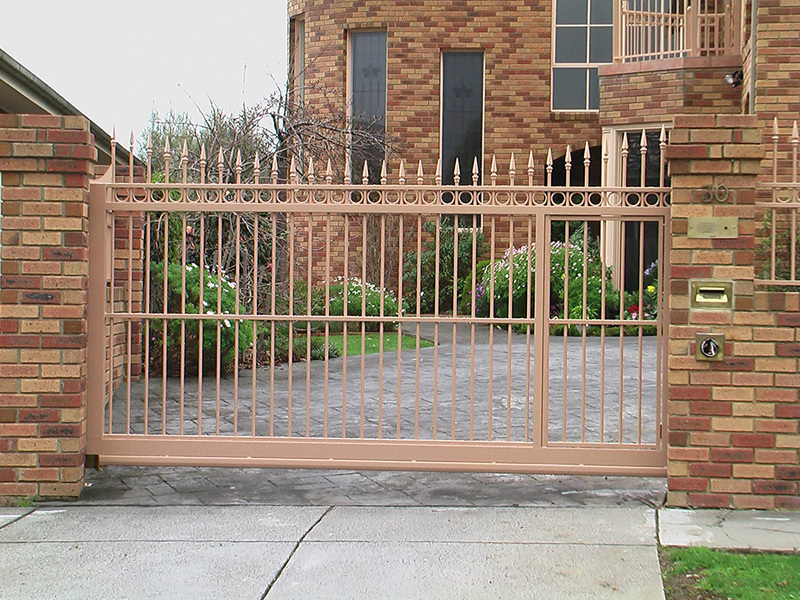 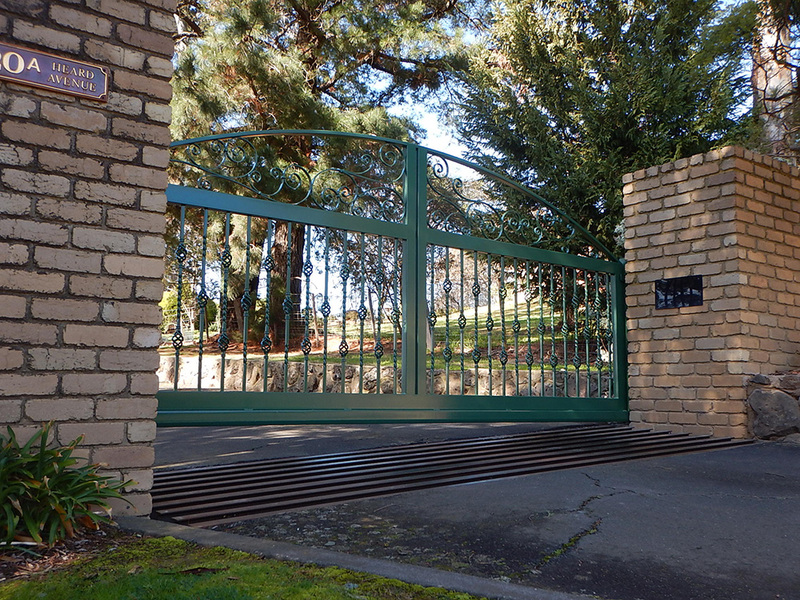 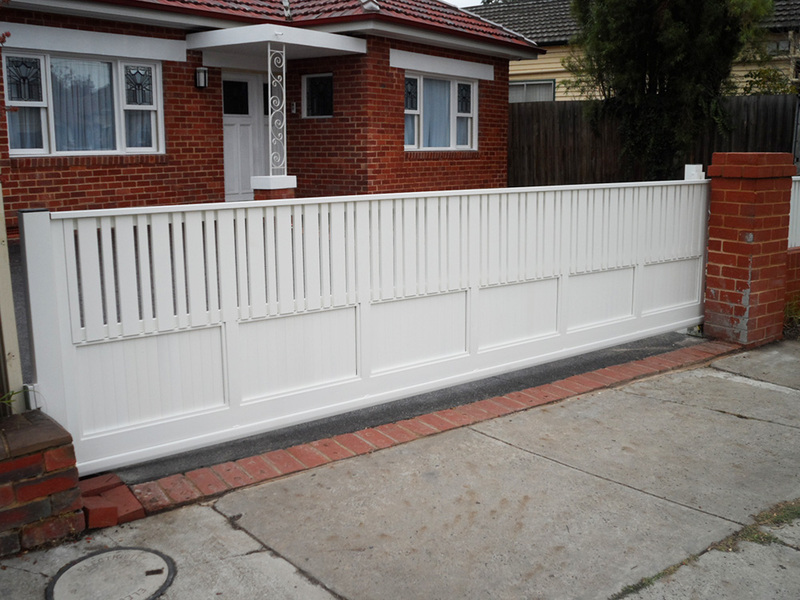 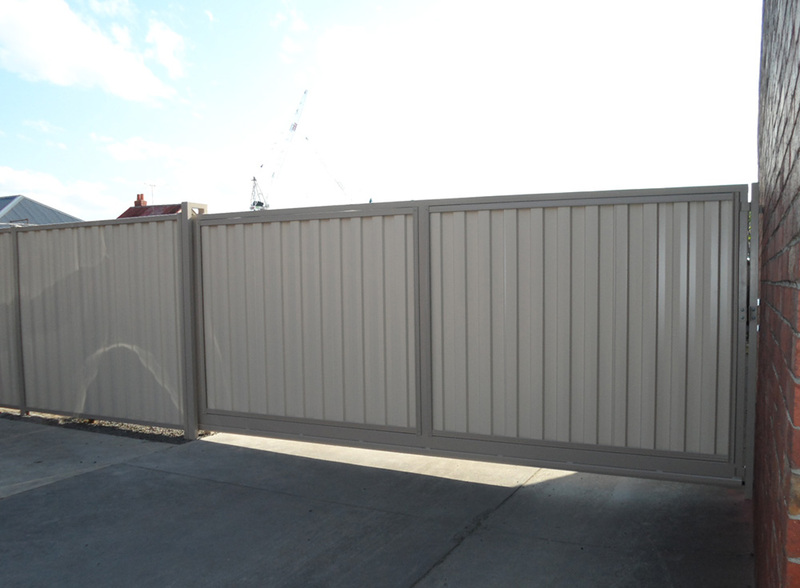 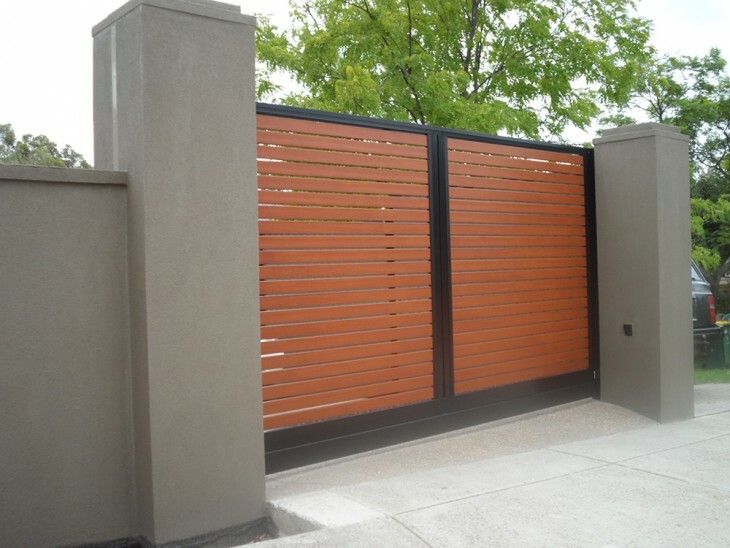 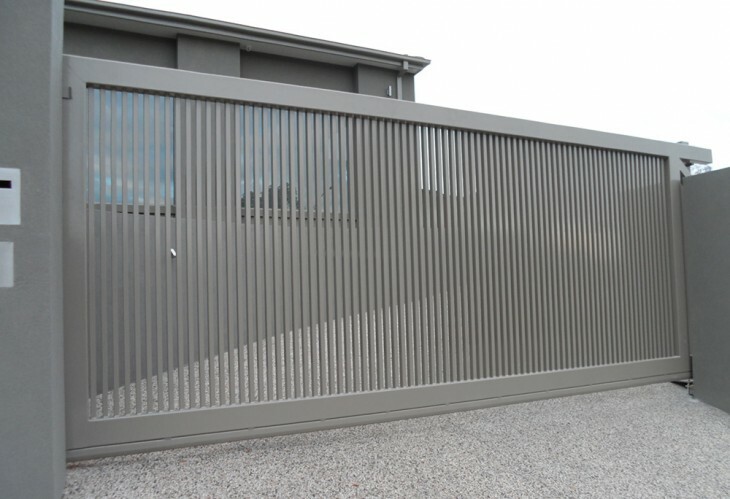 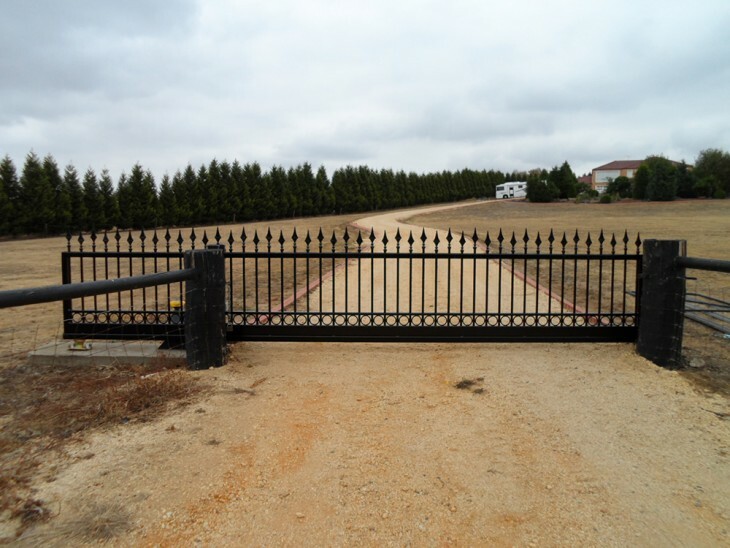 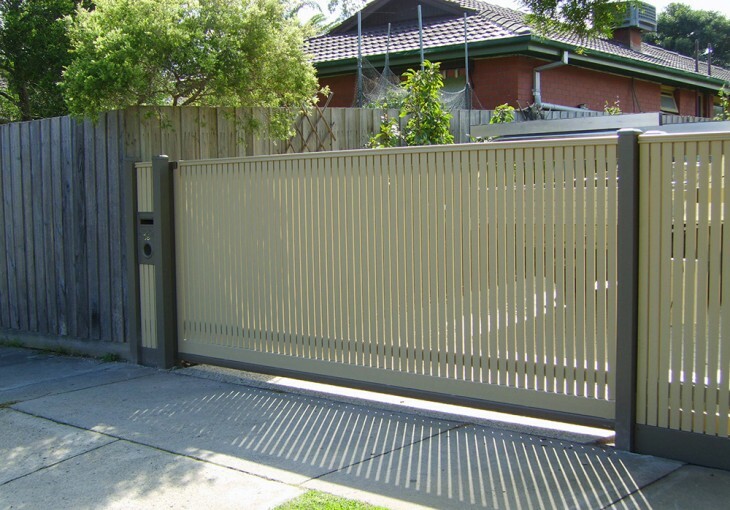 Sliding gates are recommended in situations where the driveway or entrance has an upwards slope behind the gate, and are preferred where yard space is at a premium or the contents need to be protected from any potential gate impact.